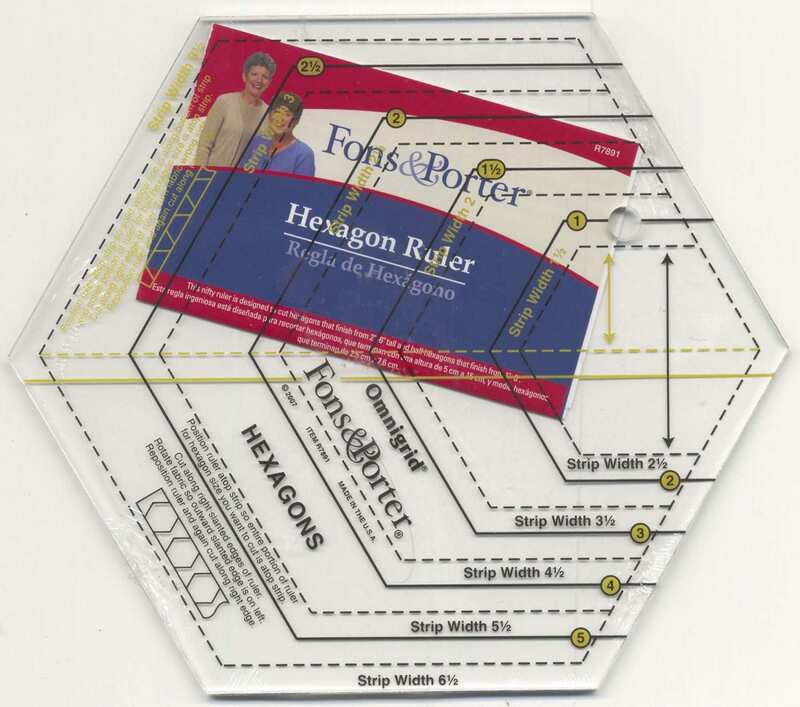 cutting hexagons & 1/2 hexagons fast and easy. No math skills are required! directly on the ruler. Includes instruction sheet with ideas.